I wrote ITGIRL4LIFE because I want you to create the best life you can for yourself. I want you to go for your dreams and give it all you’ve got. I want you to be bold, speak up, speak out and be fearless. I want you to be HAPPY. I want you to know how strong you are and that you can get through anything. I want you to pick yourself up when you fall down. I want you to be YOU to the highest power, authentic and real. I want you to SHINE. I want you to believe in yourself, step up responsibility, honor your life, have faith and push through. I want you to stand in your GREATNESS as a young woman. When I first got the idea to write this book, I thought of my own insecurities when I was a teen and what helped me to overcome them. I thought about what I learned from my mistakes, life lessons, experiences, personal study and my life’s exploration. I thought about the ‘not smart enough, pretty enough, tall enough, thin enough’ epidemic in our society, the media’s influence on how girl’s feel about themselves, other people’s opinions and judgements and the pressure on girls and women to look, act and be a certain way. I wanted to contribute something to the self-esteem conversation. I’m a student of personal development. I study the thought leaders in this area. I read books that uplift. I surround myself with people that are about IT. I am committed to improving, expanding my thinking, being of service and keeping myself inspired. EVERYBODY has doubts, fears, challenges, tough times. I certainly do. Life can be hard. It’s not easy to show up for yourself and stay positive ALL the time. I wrote ITGIRL4LIFE to help. To build a house you have to begin with a strong foundation. You have to lay the ground work before you start adding on and designing the rest. Same thing with you and me. Having a foundation of powerful ideas and principles helps to create an INNER support, giving you the tools to cope with the ups and downs of everyday life. The stronger and more solid your foundation is, the better because your foundation is what keeps you standing. Tapping into your power as an individual is the key to making it. There is a reality that hits you as you get older and that is that your life is up to YOU. What you believe about yourself is EVERYTHING. When you believe that you are a person of value, extraordinary, beautiful, capable, smart, talented and important, you walk into the room differently, you ACT differently and you make decisions from a secure and confident place. This book was written for you, the girls of the world. I want you to always remember the simple, yet profound things that will help you create the best life you can for yourself. Tamara Branch is from New York, born and raised in the Bronx. 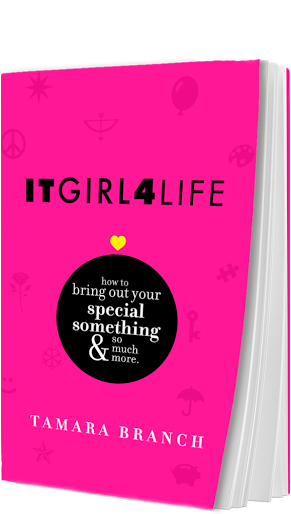 She is thrilled to share her first book release, ITGIRL4LIFE, kicking off the ITGIRL4LIFE self-esteem movement to empower girls to stand up, stand out and shine bright in the world. Tamara has worked as a professional model and actor for almost two decades. She strutted down the runway for designers Calvin Klein, Donna Karen and Christian Dior, acted in a few independent films, co-hosted PBS New York’s education series, “What’s up in Technology” and appeared T.V. commercials and print ads for Levi’s, Old Navy, Hershey’s, Colgate, Kellogg’s Special K, Revlon, Hanes, Nike and many others. A Penn State alumnus and lifelong student of personal development, Tamara is deeply passionate about uplifting the human spirit. After graduating from Institute for Integrative Nutrition, studying under Deepak Chopra, Dr. Andrew Weil and some of the top health and wellness experts in the world, she was inspired to raise the bar on her own ‘self care’ and support others in living more vibrantly. She is an abstract artist and teaches a dynamic dance class, where she gets to fuse her varied background, having trained in everything from jazz, ballet and modern to Afro-Caribbean and Salsa. Tamara was recently asked to become a Female Visionary Author guest blogger for The Brave Heart Women Global Community. She’s a SAG/AFTRA member since 1998, a member of Society of Children’s Book Writers and Illustrators and is represented by Abrams Artists Agency. 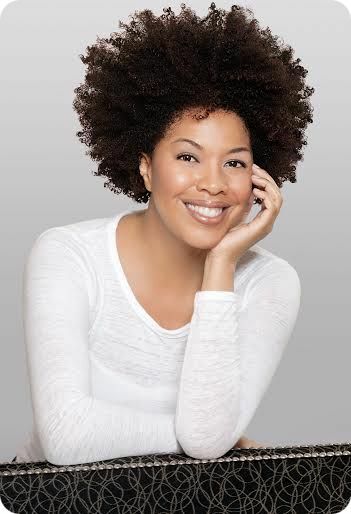 Tamara currently lives in Los Angeles, California, with her husband of seven years and offers ITGIRL4LIFE workshops to assist girls on their self empowerment journey. Her latest book is the YA/self-esteem book, ITGIRL4LIFE. Connect with Tamara on Twitter. Find out more about Tamara at Goodreads.